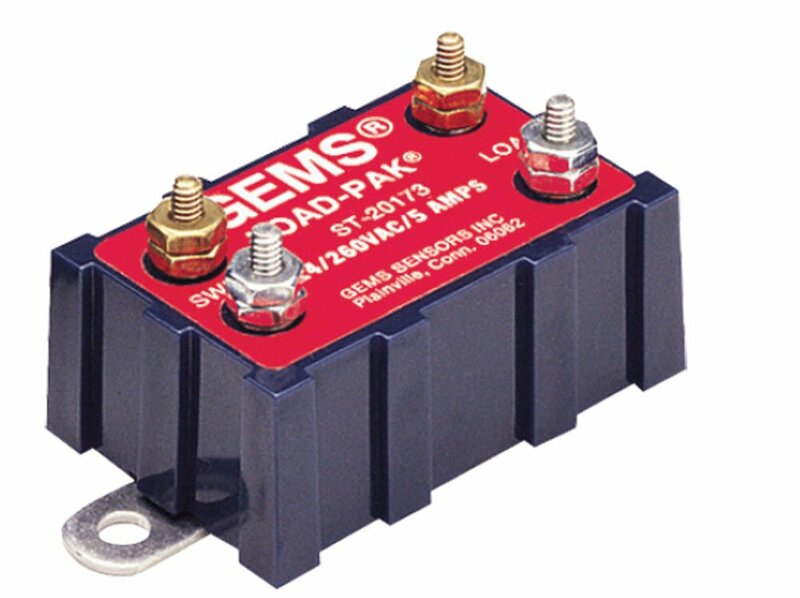 Gems solid-state switching units perform the functions of electro-mechanical relays, with the added reliability and advantages inherent in solid-state. Compact, totally encapsulated, and impervious to shock or vibration, these units mount anywhere even directly on working machinery. Load-paks: integrated, solid-state switches that amplify current handling capabilities of sensors for controlling high power loads. SPST, N.O. operation, AC and DC models. 2 VAC voltage loss. 20 mA sensor current. Allowable resistance in sensor circuit to turn "ON" (maximum): 4 k at nominal voltage. Leakage current thru load term: 12 mA at 240 VAC. Measures 2-3/4" length by 1-9/16" height.